(Beta Version 2017) and it's incredibly fun! 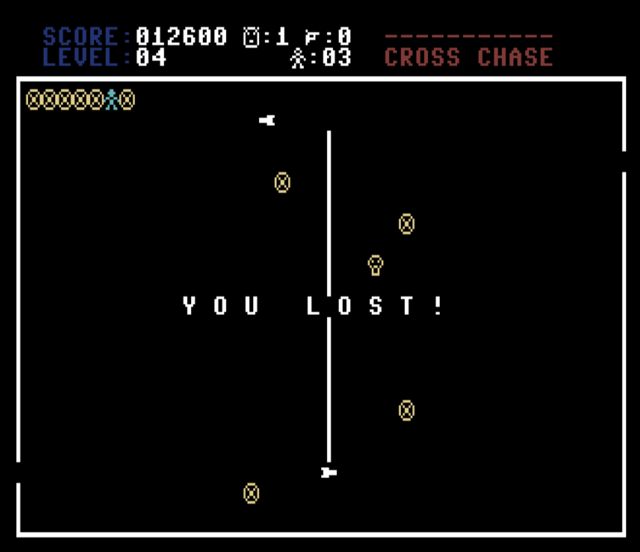 You start in the middle of the screen, enemy (faces) appear around the edges and chase you around the level until either they catch you and you lose a life, or they hit one of the traps which are deadly to both your player, and the enemies. Take too much time and a faster skull appears which can't be destroyed (ala Bubble Bobble), but you can also find a gun to help you clear the maps. 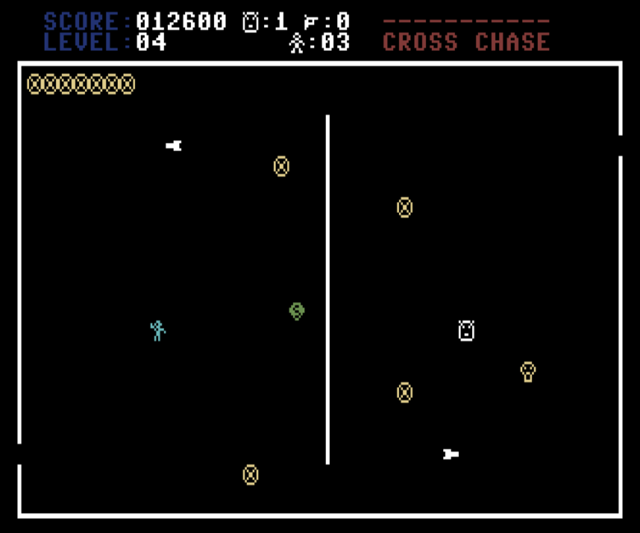 Levels get more difficult by increasing the numbers of enemies, and introducing more deadly obstacles on the screen and rockets. It's an enjoyable game, boosted by impressively responsive controls and simple gameplay. The game is also open source on Github, so this may even spawn a whole suite of games designed to be played on almost any 8 bit computer you can think of. As the code used has to be executed on the lowest common denominator don't expect anything too crazy graphics-wise. Just enjoy the great gameplay and if you're feeling really adventurous, fork the codebase and get cracking on some extra features!